Mene exhibited a model of this sculpture in the Paris Salon of 1848 and it appears in his catalogue of that same year as sculpture number 96. This model was a very popular bronze after its exhibit at the salon. This is the companion group to the well known Jiji et Giselle which shows two whippets or Italian Greyhounds playing with a ball. 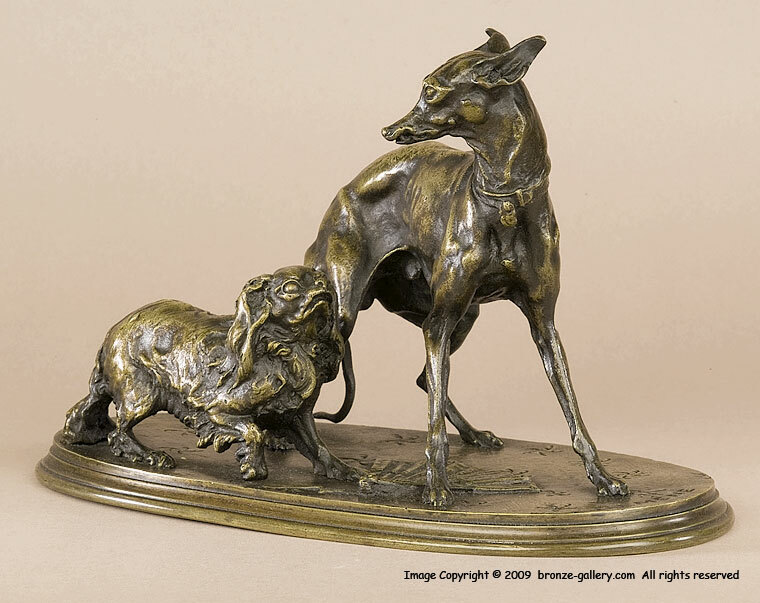 This rare bronze group shows a whippet or Italian greyhound and a King Charles Spaniel standing over a broken fan on a base which is textured to look like carpet. In their play the dogs have knocked down and broken their owners fan. The tension that Mene portrays between the two dogs as they await to see who will be the first one to move is uncanny. Our bronze has a golden brown patina with sharp details in the dogs and the base. It is a fine early 19th century bronze cast in Mene's own foundry. 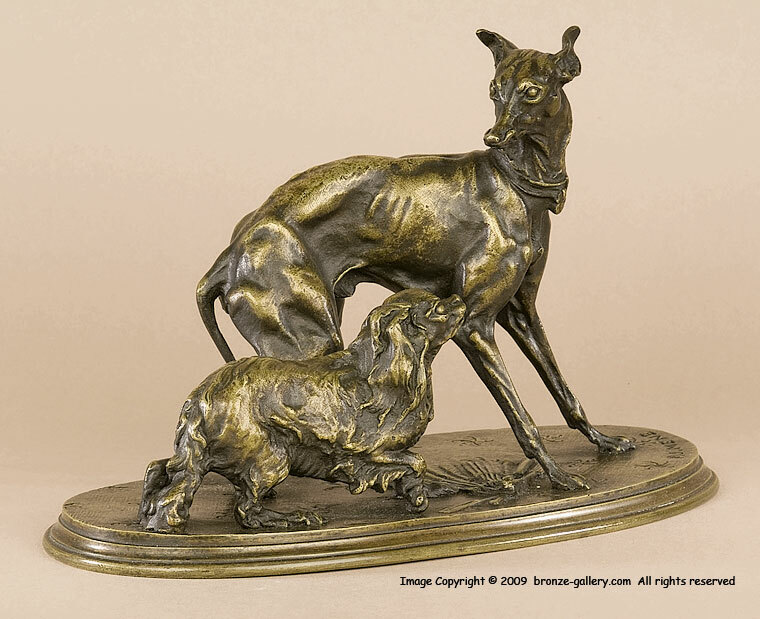 Unfortunately this popular sculpture has been copied many times over the years, but the copies lack the fine details of the 19th century original bronzes.